I was going back through the draft section in my blog and discovered some old posts that never got published. This is one of them, originally from fall 2014, but the information is still valid although old. Pattern Description (from designer): The raglan-sleeve pull-on blouse includes gathers at the yokes, elastic at the shoulders, three-quarter-length sleeves, and wide hems. 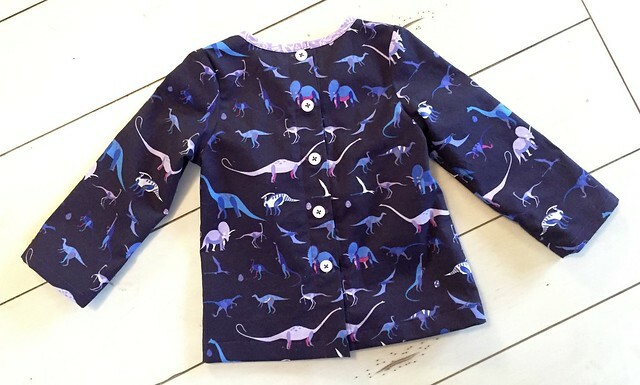 Fabric Required: For the 12-18 month size, 1 yard. Amount of fabric used: I am not 100% sure because my mom cut these out for me. I think you could probably do it with 3/4 yards for the smallest sizes. 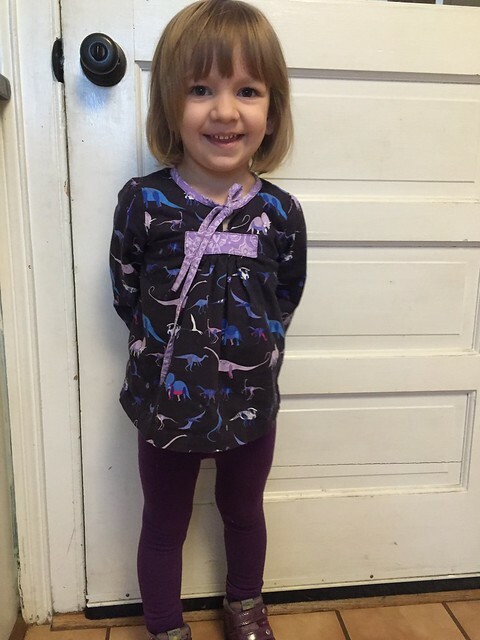 Sizing: My daughter’s chest is the 12-18 month width, and 2T in height, and it fits well. Instructions: Through my own fault, I did not realize there was elastic at the shoulders to make the neck line. This part of the pattern therefore confused me very much because it seemed like such a crazy way to make the sleeve and collar. Once I figured out the reason there was a casing, it made much more sense. Liesl never makes her patterns crazy, so I don’t know why I thought this one was. 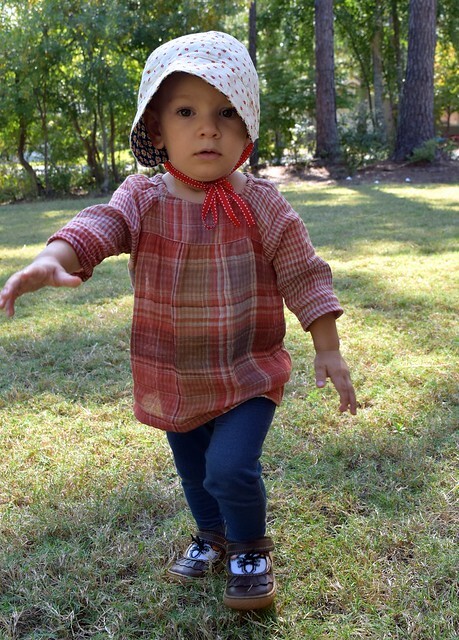 When I make more of these shirts next fall, it will be much easier. Tip: In the instructions, it recommends pulling on the elastic when cutting it to get the cut as close to the fabric as possible. When I did this, I had the elastic actually pull out of the seam twice. I found it was better to have a little over 1/8″ of the elastic sticking out and live with it not being perfect that to have the frustration of the elastic pulling out of the seam. Pattern Issues: No issues with the pattern that weren’t a result of me not reading through them completely before starting the project. Fabric Choice: The green one is a 100% cotton shirting, and it was a dream to sew up. 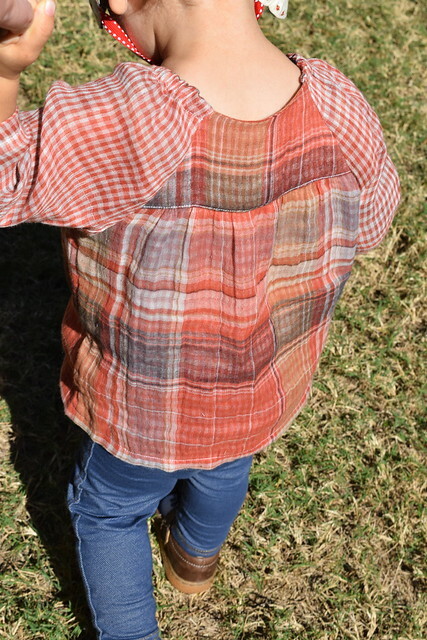 The orange plaid one is a very loosely woven double gauze that was a nightmare to cut and sew, but the end result is so cute, it almost makes the hassle worth it. The orange one is also semi-sheer so it probably should have been lined, or I should have used a double layer for the bodice portion. Finished Product: These shirts were the perfect shirts for a fall day. 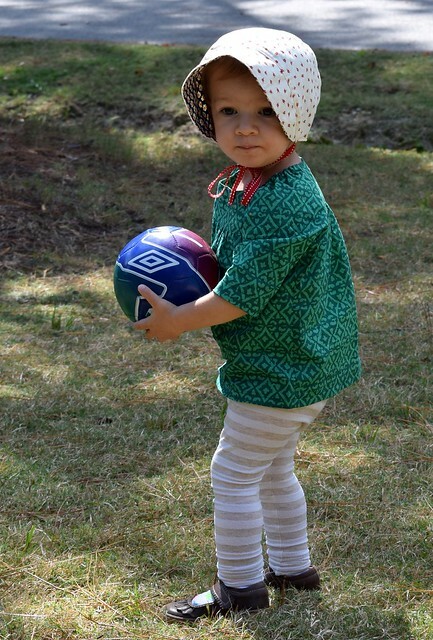 They are comfortable for my daughter, easy to wear and play in, not fussy at all, and look great. Husband’s opinion: Also a fan, wants me to make more of them. Notes for future makes: No notes, great as is. Final Thoughts: I am definitely making more of these. 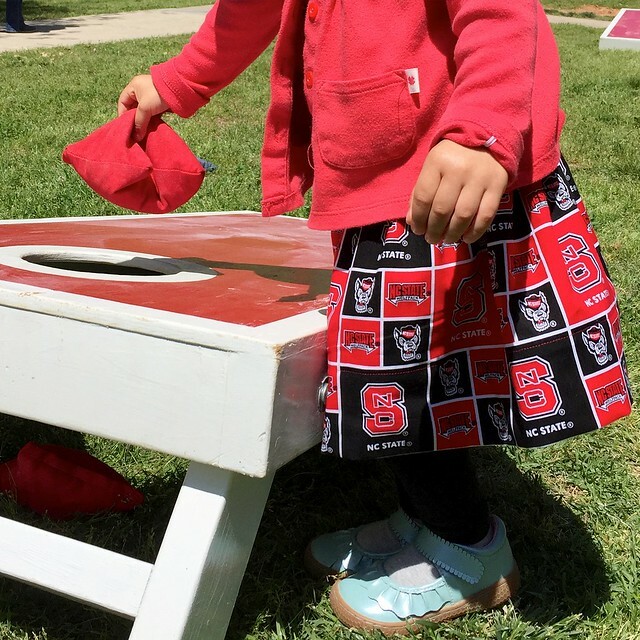 I originally had not planned to participate in Kid’s Clothes Week this week because I have quite a few other obligations that need to be finished. Then, I was working on a particularly frustrating quilt top, so I needed to just take a break from quilting/piecing for a morning. I decided that following an easy pattern was just what I needed before tackling that other project. Therefore, I present to you the Little Zippy Top. 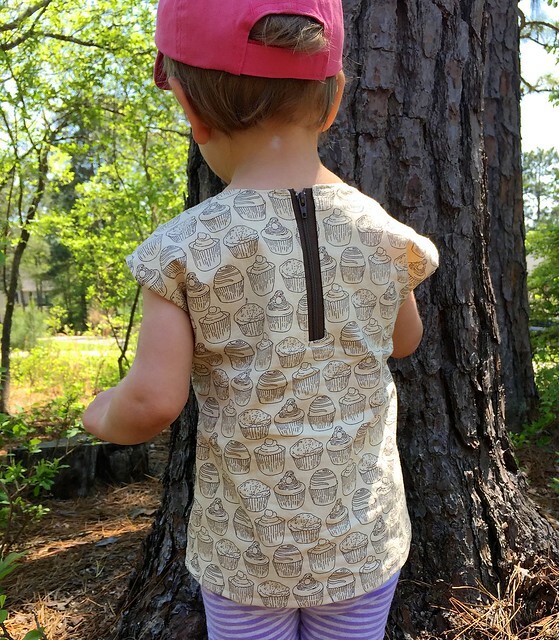 Pattern Description (from designer): This top is a versatile woven top with an exposed zipper on the back! 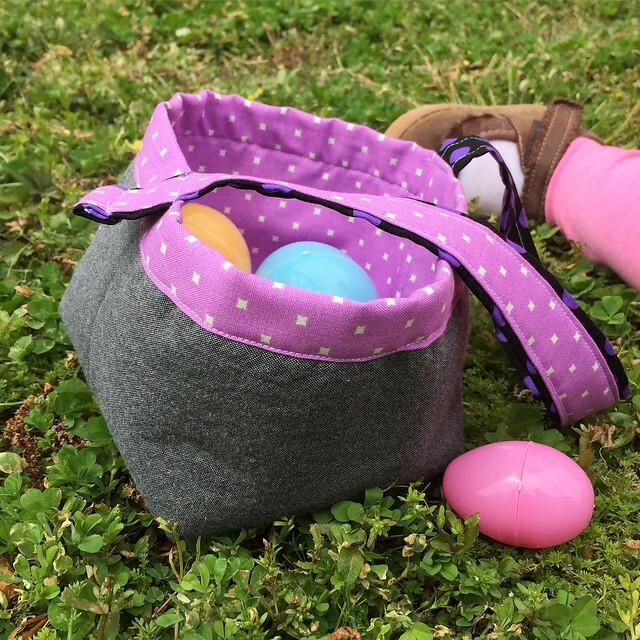 Make it with all your favorite fabrics! 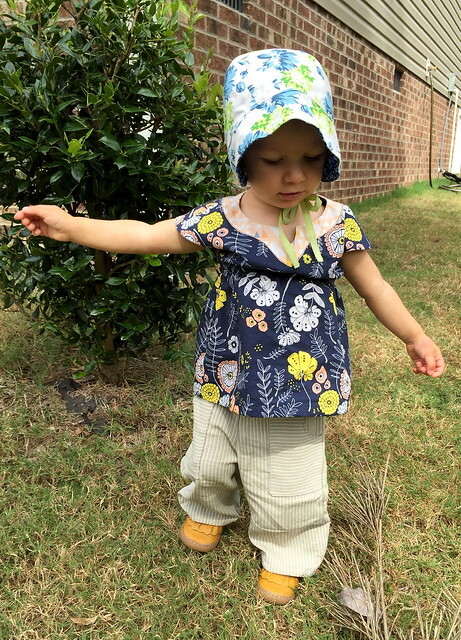 This top is perfect for beginners and quick and fun to sew! Requires very little fabric and a little zipper! Pattern Price: $9 full price, but watch for sales. Amount of fabric used: 1/2 yard! 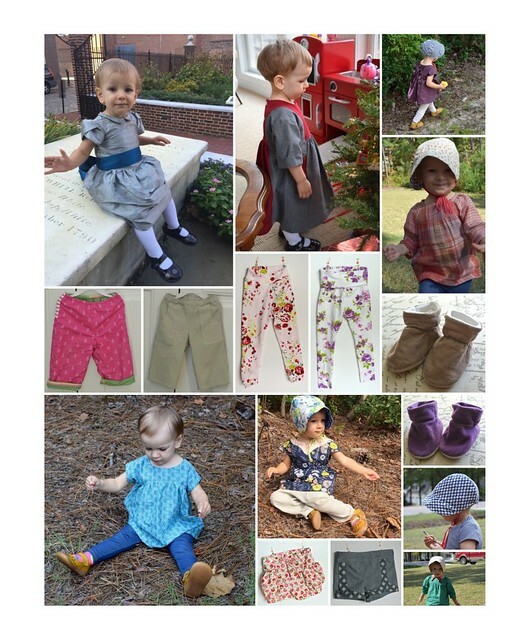 Sizing: Comes in size 18M to 10. Alterations: This shirt is a little short, in my opinion. 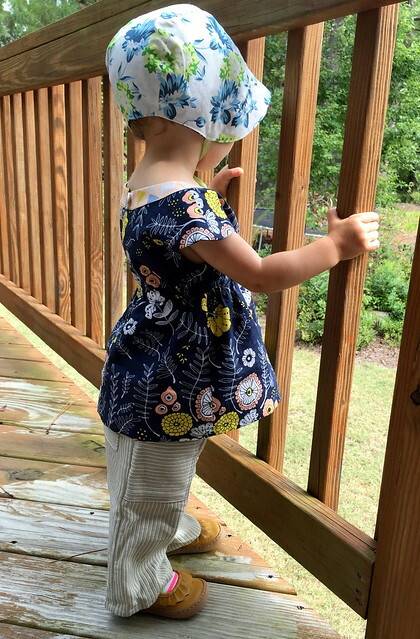 I used the 4T length hoping to get a little more wear out of the shirt, and it needed that length just to be wearable now on my daughter. Instructions: Some of the steps were in a little bit of a weird order. For example, you don’t stay stitch the neckline until step 6 by which point you’ve already handled it quite a bit so if it was going to stretch out, I think it would have by then. I also prefer to do prep-type work at the beginning, but that’s my personal preference versus a pattern issue. 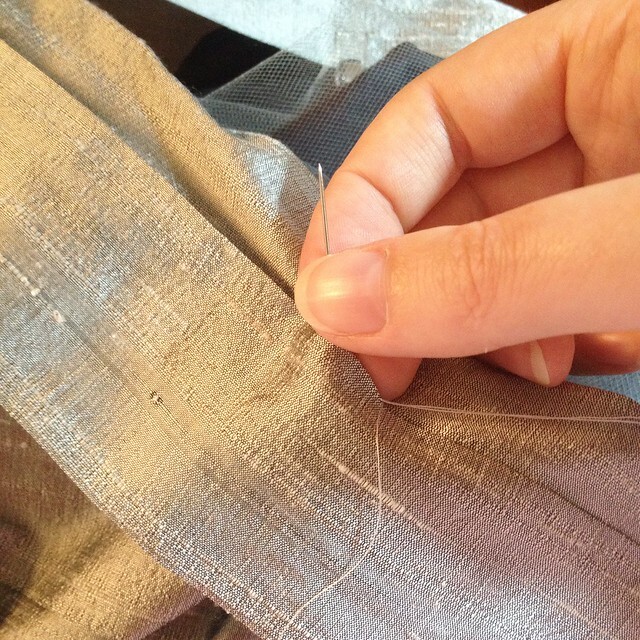 For example, step 7 is to fuse the interfacing to the facing pieces. That’s something I prefer to do first before I get into sewing the piece of clothing. Pattern Issues: Instructions are adequate, but not my preferred style of construction. For example, you don’t under stitch the facing to the seam allowance. Instead, you just topstitch the whole neckline. Which is fine, but that step has you also topstitch around the zipper opening prior to the zipper being installed, which leads you to have to install the zipper while insanely carefully trying to topstitch over the line of stitching already there. I probably made more work for myself by under stitching the neckline, then installing the zipper and just continuing on to topstitch around the neckline in one go. Fabric Choice: Cute cupcake fabric that was on sale from Fort Worth Fabric Studio. 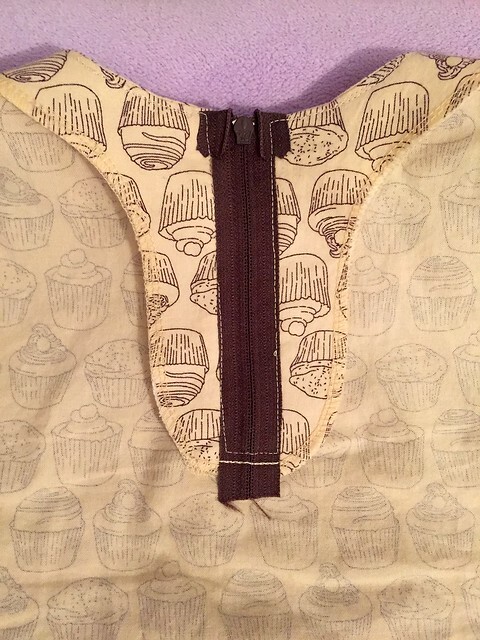 The actual name of the fabric is Love At First Bite by Color Bakery for Windham Fabrics. Quilting cotton works fine for the shirt. Finished Product: It’s a cute shirt. I wish the neck was a little bit higher in front. Sometimes the shirt has a tendency to sit forward a little more than it should, so that may be why the neckline looks lower than it should. Husband’s opinion: I like the exposed zipper, and the fabric. 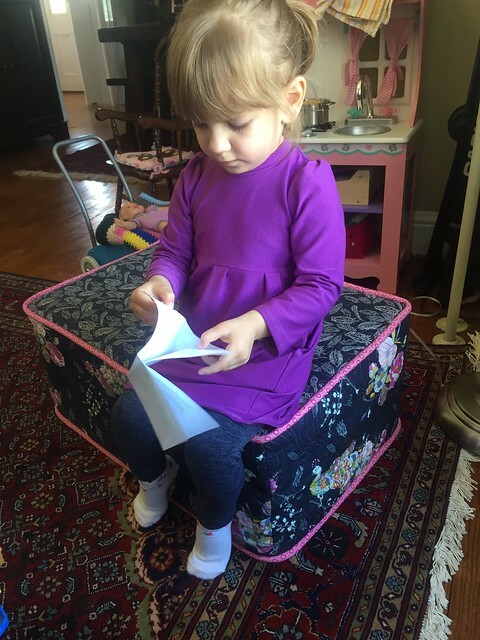 Notes for future makes: I think I will go up a size in width, and at least one more size in length (to 5T for a little girl that wears 2T in ready to wear). 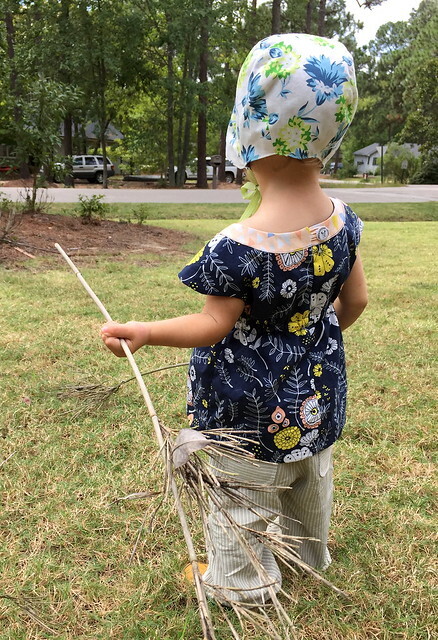 My daughter is pretty skinny, but likes to “help” put her clothes on by sticking her arms out straight in whatever direction that makes it impossible to get a woven shirt on, so I’m hoping a little extra width will help make dressing her a little bit easier. Final Thoughts: I had high hopes for this shirt being one that I go to again and again, but I’m not sure that I will. It’s like when someone tells you a restaurant has the best hamburger they’ve ever had in their entire life… your hopes get high and no hamburger is going to live up to what you have built up in your head. I had higher hopes for this pattern, so I think that’s why I’m a little disappointed. I didn’t keep track of time, but it wasn’t quite as fast of a make as I was hoping. Then again, if I made multiples, it would go faster. Making sure the zipper is evenly installed takes longer than buttonholes and sleeves do for me. I also don’t really like how the zipper is installed. The zipper seemed to be annoying my daughter last night when we were sitting on the couch together. I still like how little fabric it uses, so I may try it again just for that reason. I guess for now, I’ll see how often I dress her in it before deciding if it’s a total win or bust. 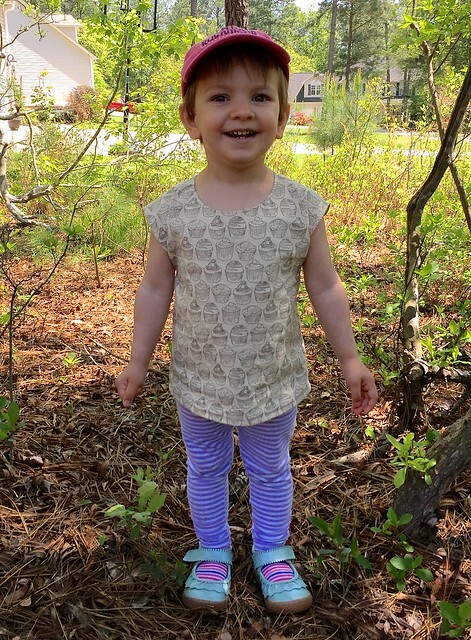 I made the Franklin dress pattern for my daughter for Easter. Unfortunately, it ended up being a little chilly, so almost all of the pictures of her that day are covered up by a sweater. Then, I made her an Easter basket from the Fabric Basket Tutorial from Ellison Lane, which she also ended up not using because a bucket was provided at the Easter Egg Hunt. Oh well! 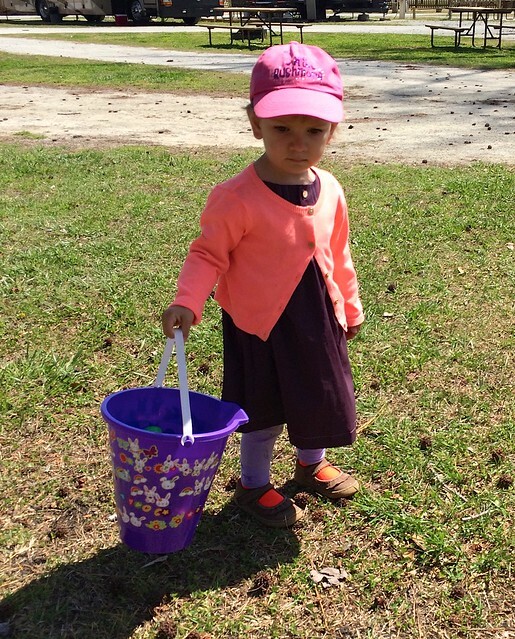 She had a blast running around and picking up eggs, and that is what mattered. 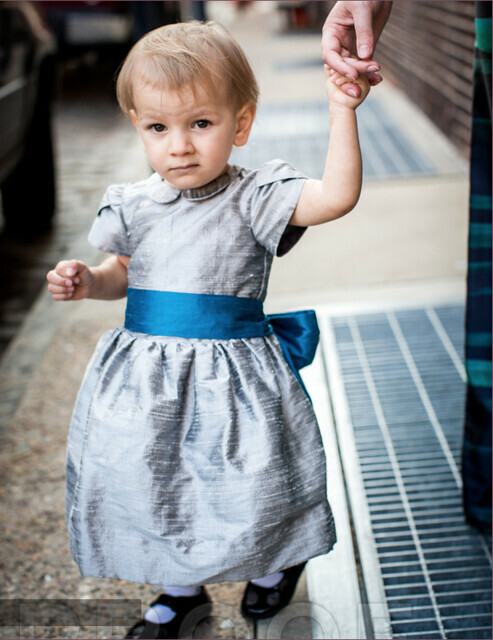 Pattern: The Franklin Dress is the first dress pattern offered by the Brooklyn Pattern Company. Pattern Description (from designer): A surprisingly simple dress with playful details and endless options. 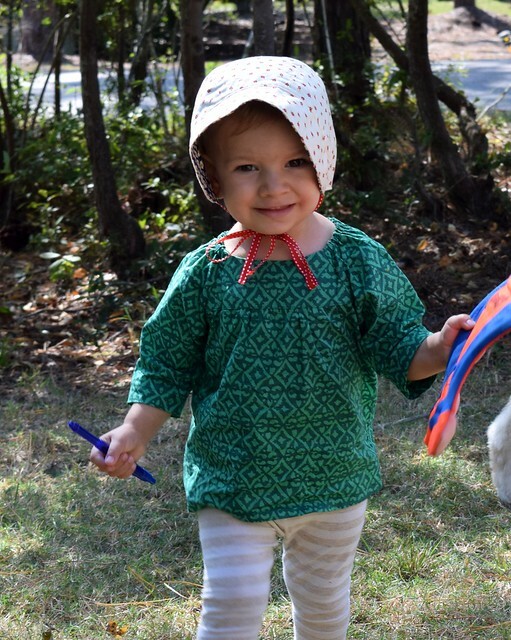 Whether romping in the dirt with frogs in her pockets or strolling across the Brooklyn Bridge, both mom and daughter will appreciate the versatility. A pleated yoke frames the face while gathered sleeves add a special touch. Go casual with a sweet polka dot cotton or dress it up with linen or silk. Fabric Required: For 12 month size, it requires 1- 1.5 yards depending on width. 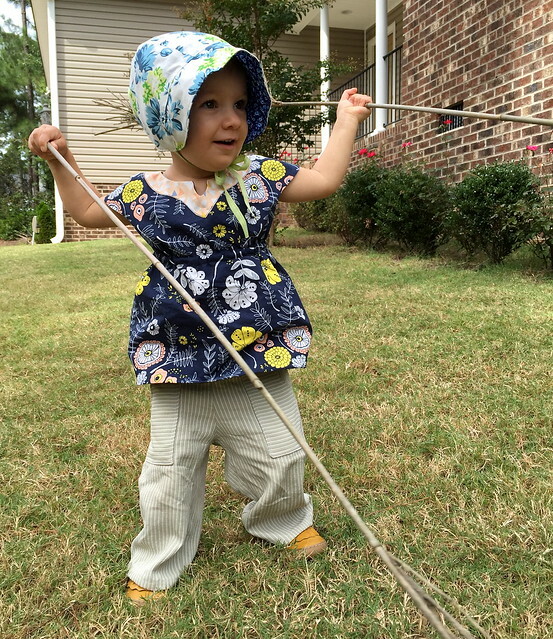 Amount of fabric used: I used 1 yard of 54″ wide fabric and did not have garment sewing usable scraps after. 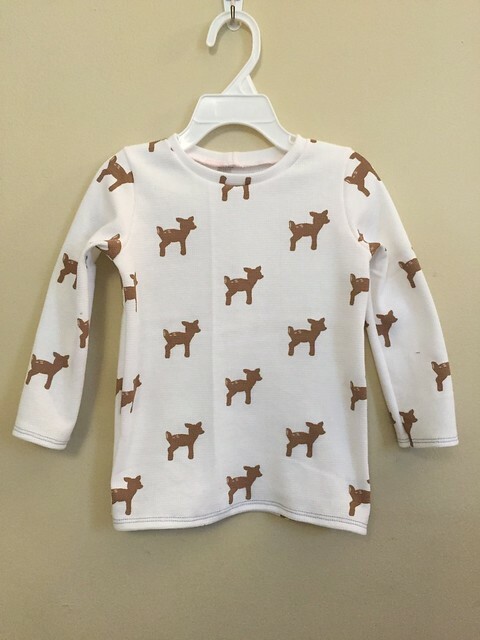 Sizing: Includes sizes 6 months – 8 years. I made size 2T. Actual measurements are not included, which I am so used to using to decide what size to make that I was lost without it. Alterations: I made the pattern as written. Instructions: Instructions are good and there is also a sew-a-long for beginners or anyone who needs extra help. Diagrams are included in the pattern. My only issue is below. Pattern Issues: My only complain is that the diagram showing where to place the interfacing behind the buttonholes makes it look like it should be placed again the cut edge of the fabric, instead of inside the seam or even just centered on the line you are going to put the buttonholes on. I knew it didn’t seem right as I was doing it, but I try to follow the instructions as written for the first time I make a pattern so I went with it in case there was some reason it was done that way. There wasn’t. Fabric Choice: I made it in a lovely purple stretch poplin purchased from Mood, now out of stock. I originally purchased it for me (back when I had a short-lived misconception that I could make a woven shirt for myself out of 1 yard of fabric). I used 1 yard of fabric for her dress. Finished Product: It is a very sweet dress. 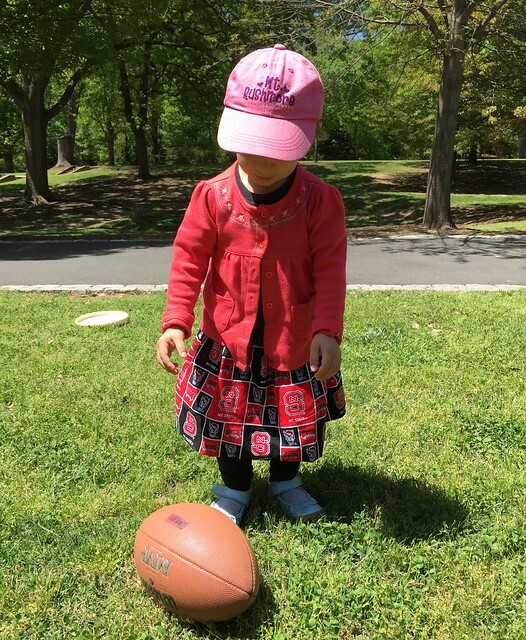 Husband’s opinion: Why did I make it a dress when we never dress our daughter in dresses? Notes for future makes: The bodice width is a bit wide. Not crazy wide, more room to grow wide, but if in doubt about size I would probably go with the lower size. Also, I would shorten it to make as a shirt so she would wear it more often. 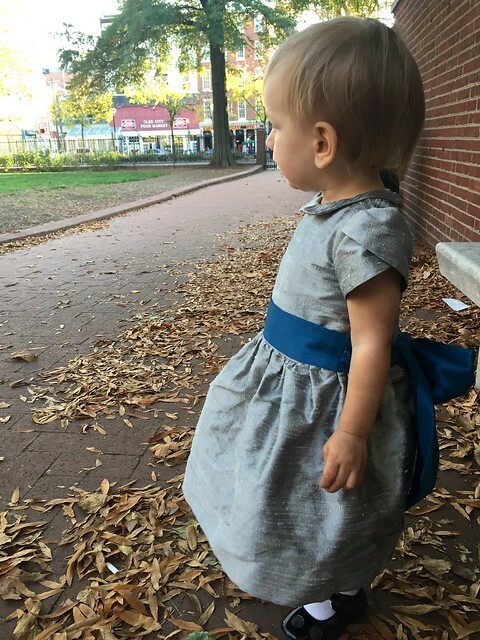 Final Thoughts: It’s a pretty easy sew that makes a cute dress. I had to include the Easter Basket somewhere! It was used during the practice egg hunts, so it wasn’t a total waste. I’m probably going to remove the handles and use it as a thread catcher. I like how it turned it! 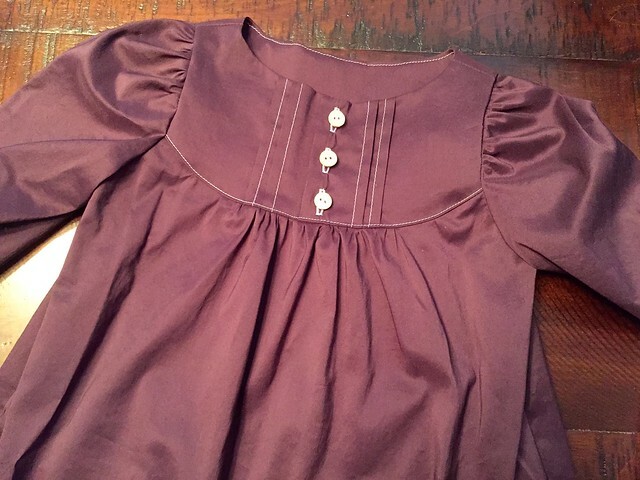 Linking up to Frances Suzanne’s Link Party for the Franklin Dress Flip this Pattern, even though I didn’t flip it at all. 2014 was a good year. It was my second year at home with my daughter. My husband was in the middle of grad school to get his Master’s Degree. My brother-in-law got married. And I kept sewing! I didn’t realize how much I sewed until I started making mosaics and realized how many pictures I have! I did not make as many quilts, because there are only so many quilts a person can use and because I choose to do more challenging work for the ones I did make. 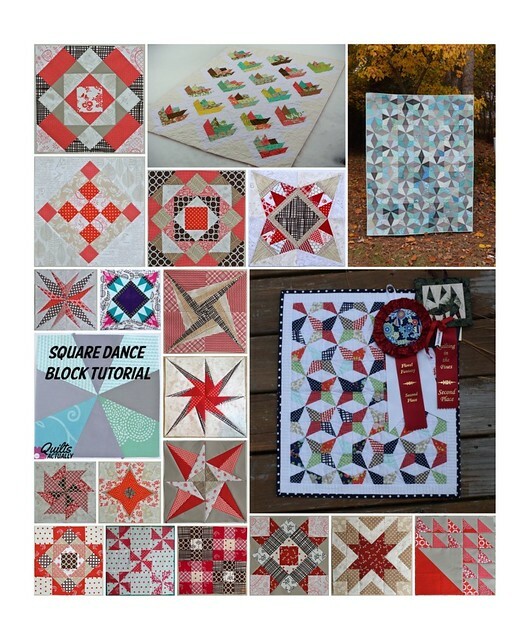 This also reminded me that I need to start making blocks for my Real World Red and White quilt if I ever want to get it done. I also joined bees and a swap for the first time, so some of my quilting time was dedicated for other people. 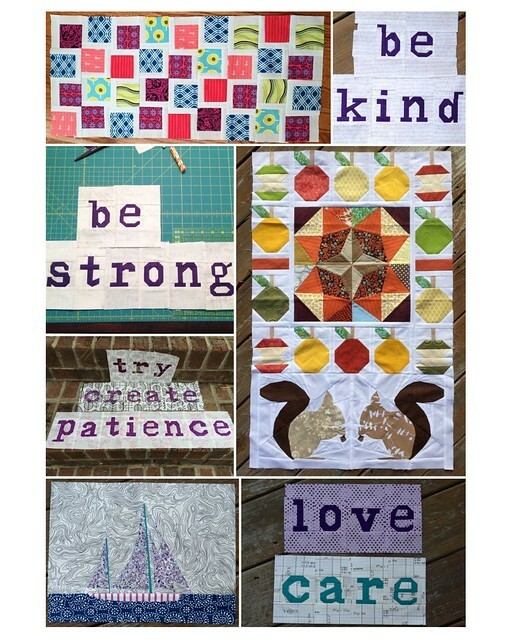 I really enjoyed pushing my boundaries and learning new techniques as part of these bees, so I am continuing in Stash Bee this year – and already signed up for two mini quilt swaps! I joined the Plum and June New Blogger Group. As a part of that group, I joined a round robin bee – the Round Trip Quilts group. It’s seriously one of the hardest and most awesome quilty things I’ve done. I love the challenge and creativity that our group is demonstrating each round. 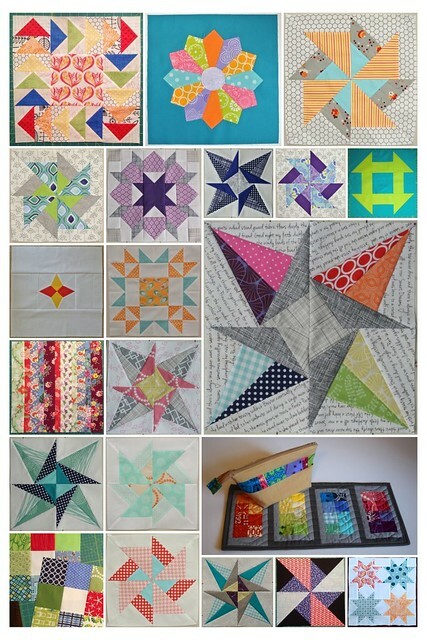 I can’t wait to see how everyone’s quilts turn out! I also started sewing more and more clothes this year. This isn’t near all of them. Much of what I sew are basics like leggings and shirts that I apparently did not feel were photo worthy. I should think about whether or not I feel that way for the future. Also, fancy dresses are fun to sew, but don’t get worn. Those leggings get worn to death. And I embraced “selfish” sewing, and made a few things for myself! Taking pictures of myself in clothes I’ve made is much harder than taking the pictures of a quilt block or of my daughter. Not only does the light have to be good enough to take pictures, the weather has to be appropriate to wear the garment, it can’t be wrinkly from wearing all day, and my hair has to look acceptable. 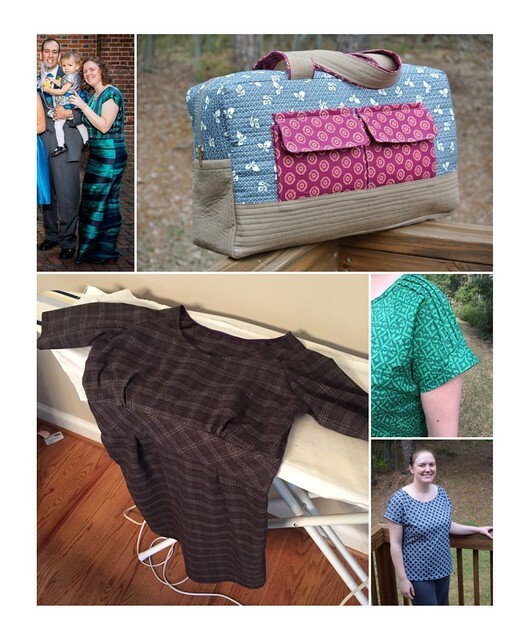 Sewing bloggers, I salute you and your herculean efforts to document your makes. In the coming year I want to become better about blogging what I’ve made for myself. I also entered a quilt show for the first time. I didn’t really enter thinking I would win anything, but it does make the experience more fun 😉 I really entered because my local shows are full of quilts that all look the same. I wanted to show that there are quilts that aren’t made from drab colors. I wanted to enter a wearable category and show that you can quilt a sophisticated bag. I hope my work demonstrated that you can be young and make technically sound work that is modern and beautiful. I also have to brag on myself for a minute – I took 2nd in the Group category in the NC State Fair. I was pretty proud of that because I had heard that the group and dual category are the most competitive categories. Luckily I found that out after I entered – otherwise I may not have had the nerve to enter the group category. Then I found out that a quilter who has been quilting longer than me and does amazing custom work had quilted the 3rd and 4th place quilts in the group category. That made me feel pretty good! Last year I tried to participate more in the bigger quilting world – through bees and swaps, and also through guest blogging. I wrote a tutorial for a paper pieced block for Sew Mama Sew. I guest blogged for Angela Walter’s Business of Machine Quilting Blog. I took a couple longarm classes and learned some great techniques. That’s my year in summary. This coming year I want to piece a little bit more. I have a to-do list that hopefully I can follow. I want to quilt more. I want to continue developing my skills – in piecing and sewing and quilting. And accomplish all this while moving over the summer and potentially going back to school in the fall… eek. Here’s to 2015! 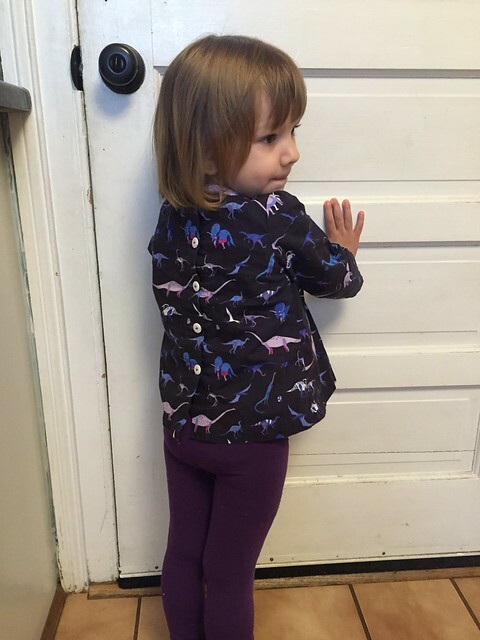 I’m continuing my Kid’s Clothes Week theme of fall useful clothing with my Roller Skate Tunic Pattern Review. Pattern: Oliver and S Roller Skate Tunic and Dress (digital version) This is a great pattern for the digital side, because there is not that much to print. It was a nice change from some of the huge patterns I have printed off lately. 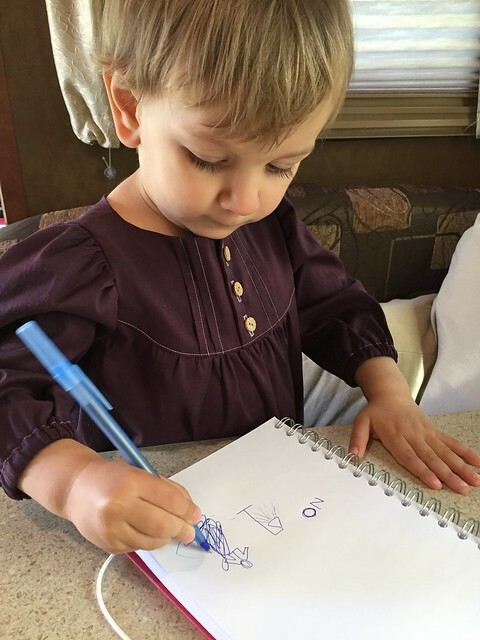 Pattern Description (from designer): This cute and easy dress can also be made as a tunic, with two different styles for each length. All views include built-in cap sleeves, Empire-waist elastic casing, and keyhole-with-button opening at back. 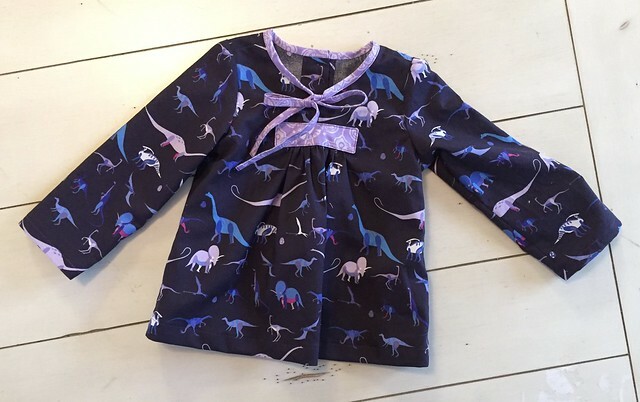 Fabric Required: For 12-18 month size, 3/4 yard of both the lining and outer fabric. 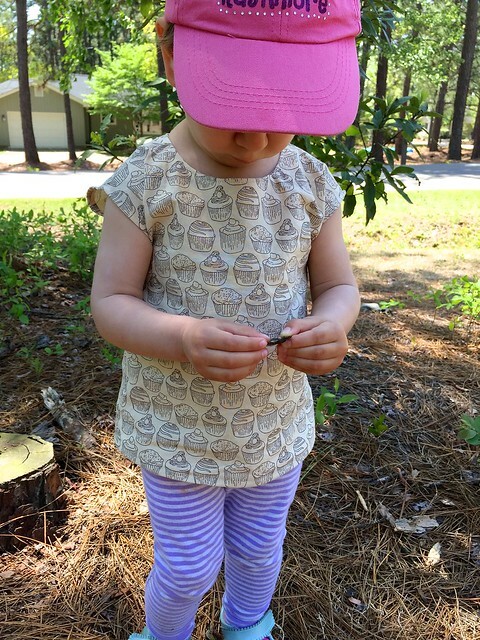 One button for the back closing… a lion button makes any kid’s shirt better! Amount of fabric used: I’m pretty sure I could have cut it out of a half yard cut of fabric. 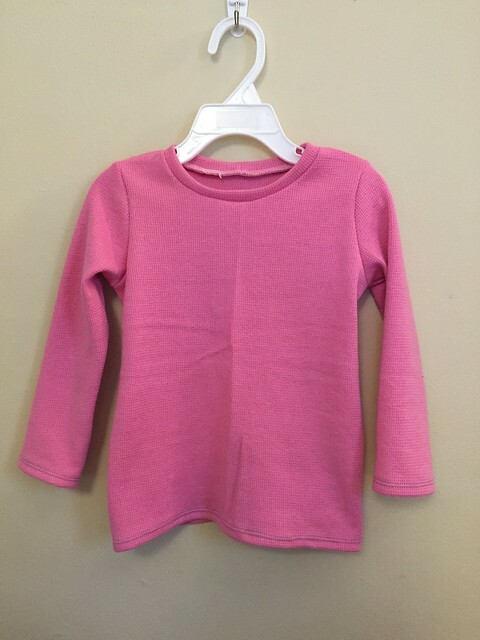 Sizing: My daughter’s chest size matched the 12-18 month size exactly, so I made the 12-18 width with 2T length. Alterations: The only change I made was to add some length. 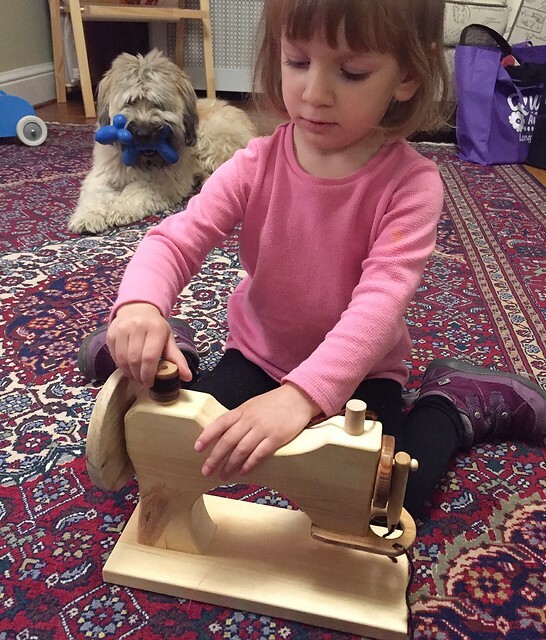 Instructions: This is a pretty simple shirt to construct, and the instructions are good (as always from Oliver and S). The marking of the line where the elastic casing goes was a bit tedious, but there are better tools that make it easier (I just don’t own them). The method to use carbon paper and a tracing wheel would be infinitely faster, easier, and more accurate. Fabric Choice: I used quilting cotton for the outside and voile as the lining. The weight works well together. Finished Product: Overall, I think it’s a cute shirt. I already have another one cut out, it just needs to be sewn up. I think with the cutout, the neckline is a little low on my daughter. Maybe for her size, it gets low proportion wise? I’ve seen a lot of other versions of this dress and never had thought before, but sometimes there is a little more food stuck in the top after a meal than is ideal. Until she gets into larger sizes I don’t plan on using the cutout again. Husband’s opinion: He doesn’t like how it rides up, but hopefully loosening the elastic will take care of that. Notes for future makes: As stated above, I will make the elastic a little bit looser in my next version and probably not use the cut out option until she is a little bit older. 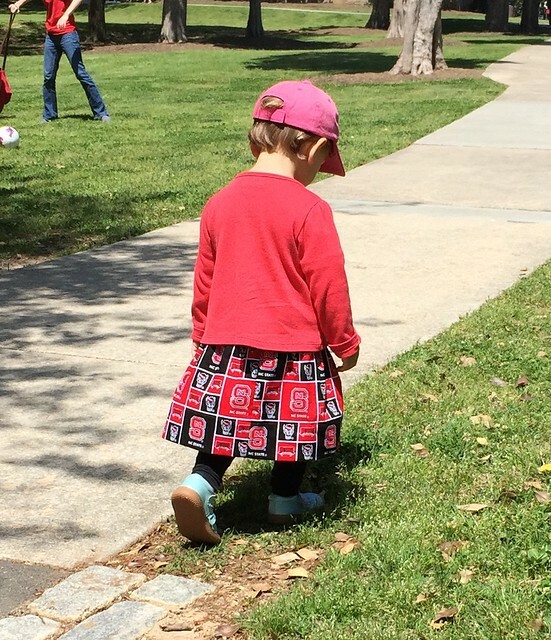 Final Thoughts: The Roller skate tunic is a well designed pattern that creates a good looking dress. 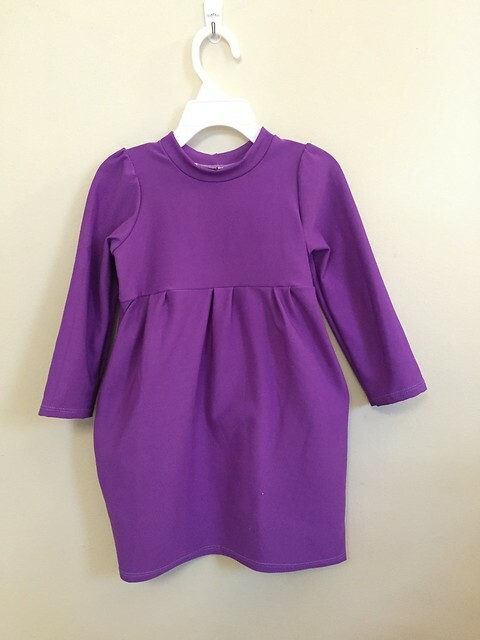 I like how it is lined, and think it is a very flattering and cute silhouette for a little girl. Also, the pants are the Oliver and S Sandbox Pants that I made for the Winter 2014 KCW (last January).